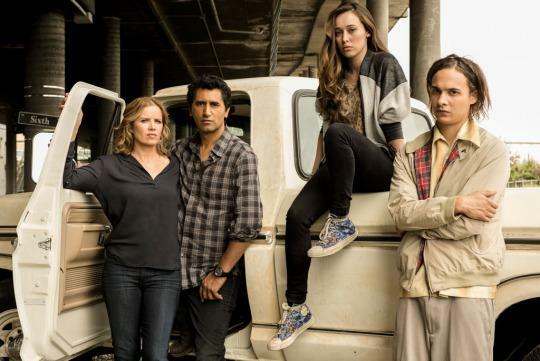 Who is Madison on Fear the Walking Dead? Madison is a character on the tv show Fear the Walking Dead a spin off series of The Walking Dead. The characters in the Fear the Walking Dead have not appeared in the Walking Dead comic series. 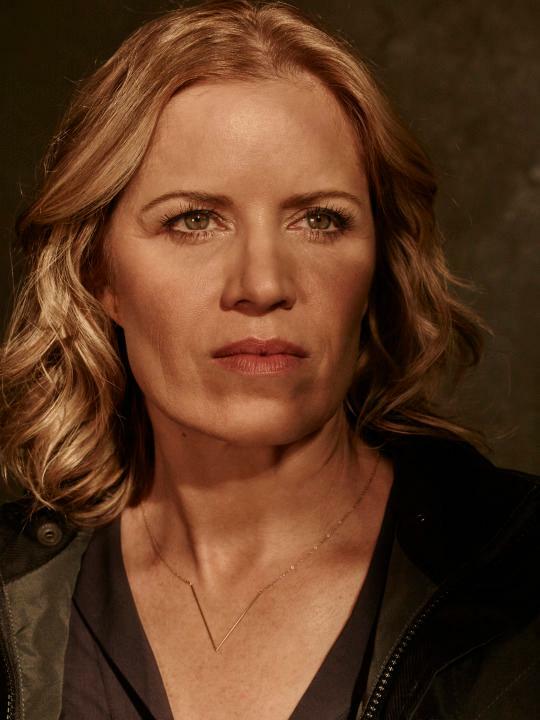 Madison is played by actress Kim Dickens. is a popular guidance counselor at a high school in El Sereno who, prior to the zombie apocalypse, helped students prepare for their future. A widowed mother, she raised two children single-handedly, but has recently found love with the high school English teacher. The pressure of survival brings clarity for Madison and she is quick to make the hard choices that will keep her family alive. The outbreak reveals a past to Madison that she had tried to bury. Now, in this new world, she can’t hide who she really is. Prior to apocalypse, Madison is a widowed, school counselor and mother of a daughter, Alicia. She is in a a good relationship with with a man named Travis Manawa. They live in Los Angeles and are doing pretty well. Their primarily concerns are their three children. Kids from each the Clark and Manawa family have a hard time accepting the new relationship. The couple is trying to blend together their two families as best they can. It has been hinted at throughout the series that Madison hides a dark past. Madison's daughter Alicia seems to be doing well though she has secrets. Meanwhile, her older son Nick is struggling to find his place in the world or he is using drugs. At school a student is brought to her office for bringing a knife school. The student named Tobias says he is scared of the effects of a mysterious virus. He says that there are reports of the outbreak occurring in 5 states. Madison reassures Tobias that everything will be alright. She reasons that an outbreak would be taken care of by the authorities. Madison Clark and Travis are searching for Nick after he escaped the hospitable. They find him and he begins to ramble about killing Calvin his drug dealer. They follow him to the spot where he claims he shot Calvin. There they are attacked by a zombified Cal who they fight off. The family is suddenly forced to come to terms with the zombie apocalypse. Later, Tobias catches Madison is trying to pull out confiscated drugs out of an administration locker from Paul R. Williams High School. Madison is hoping to get drugs to wean her son Nick off drugs. Tobias came to the empty school to get his knife back and acquire large amounts of food. He begins to explain to Madison the steps of society breaking down, and that it occurs rapidly. As the two are walking through the school they are attacked by the former Principal Art. Art has become a zombie. The two fight him off, and kill him. Madison tells Tobias she can stay with him but he refuses. Madison still has not accepted that the fall of civilization is at hand. Madison works to keep her family safe and sane as they trapped in their house. There neighborhood is taken over by soldiers. She also weans Nick off of drugs. Nick is arrested and brought into the military base. The couple of Travis and Madison will make tough decisions, to survive in Los Angeles as society begins to unravel around them.